For example in Georgia, the law requires a finding that the owner/ controller of the dog knew or should have known it was dangerous or had a propensity to be vicious. In a recent case before the Georgia Supreme Court, justices were asked to consider whether this alleged knowledge of the dog’s viciousness was a matter of law for a judge to decide or a matter of fact for a jury. Justices sided with the latter interpretation, reversing the appellate court and remanding the injury case for a trial by jury. According to court records, evidence in earlier records tends to show that plaintiffs were neighbors of defendants. In 2011, defendant’s adult son moved into their home. He asked his mother’s permission to bring with him his pit bull, “Rocks.” His mother agreed, but only so long as he built a pen for the dog in the backyard, where the dog would stay. Her son did this, and he and the dog moved in. The first day son moved in, the dog reportedly snapped and growled at defendant mother as she tried to feed it. That afternoon, the dog barked, growled and snapped at plaintiff husband, who was visiting the home and offered his hand to the dog. Approximately a week passed when plaintiff wife entered defendant’s back yard through a gate. At the time, defendant’s adult son was in the back yard with his dog, who was not confined in his pen. The dog was, however, on a lead. Plaintiff wife walked up to the dog and held out her arm. The dog lunged at her and bit her arm, latching onto it. Plaintiff tried to run away, but slipped and fell as she did so. The dog bit and latched onto her right leg. As a result of the dog bite attack, she suffered serious injuries. Plaintiffs sued defendants under the state statute which says in pertinent part that a person who owns or keeps a vicious animal and by careless management causes injury to another is liable. The law specifically realizes that the keeper of the dog has to have known (or had reason to know) it was either vicious or had a propensity to be dangerous. In that state, the law doesn’t presume a dog is vicious or dangerous and in fact, it presumes that regardless of breed, dogs are a harmless breed. The courts require proof that this particular dog had a dangerous nature and the owner knew of it. Typically, this is shown through something called the “first bite rule.” Usually, this means if the dog has bitten someone before, the dog should be presumed to have dangerous propensities. However, that doesn’t necessarily mean the dog gets a pass on that first bite. The law doesn’t literally require a first bite. 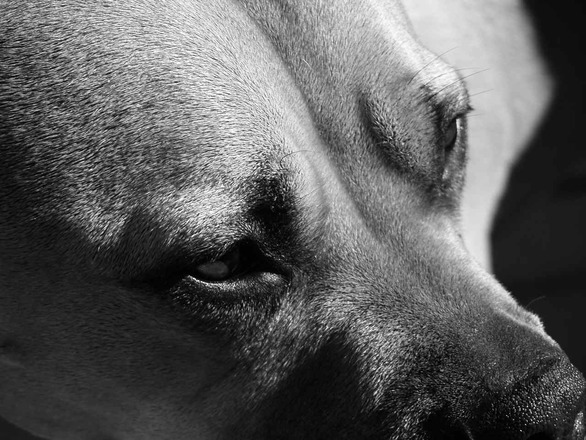 It can mean a display of other indications/ reason to know of a dog’s propensity to do harm. Here, plaintiffs pointed to the two incidents of snapping in the week before the dog bite plaintiff. The appellate court in this case concluded snapping incidents enough aren’t proof of knowledge that a dog may be dangerous if there is no other history of previous attacks. However, the state supreme court reversed. The court held it was possible to find defendants had knowledge of danger without a previous bite incident, but that this was a question for jurors.The case was remanded back to the lower court for trial.